Today on The Remix, we pay tribute to fallen rapper and Grammy Award nominee Nipsey Hussle. We recap the 34th Annual Stellar Awards and the 50th Annual NAACP Image Awards. In addition, we talk about the upcoming biopic for popular groups Salt-N-Pepa and The Clark Sisters. 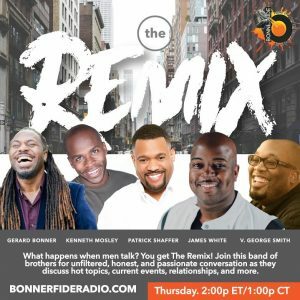 Join hosts Kenneth Mosley, V. George Smith, Patrick Shaffer, James White, and Gerard Bonner for another epic week of conversation, including music from Lena Byrd Miles, The Walls Group, Bobby Sparks, Roy Hargrove, and more. 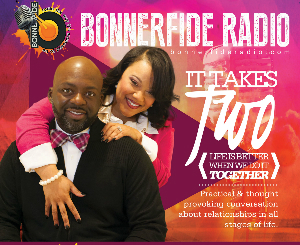 This entry was posted in Podcasts, The Remix and tagged Bobby Sparks, Lena Byrd-Miles, NAACP Image Awards, Nipsey Hussle, Roy Hargrove, Salt-n-Pepa, Stellar Awards, The Clark Sisters, The Remix, The Walls Group. Bookmark the permalink. Trackbacks are closed, but you can post a comment.